iOS 12 has been on the road for a day and now iOS 12.1 developer beta 1 (build 16B5059d) is available. 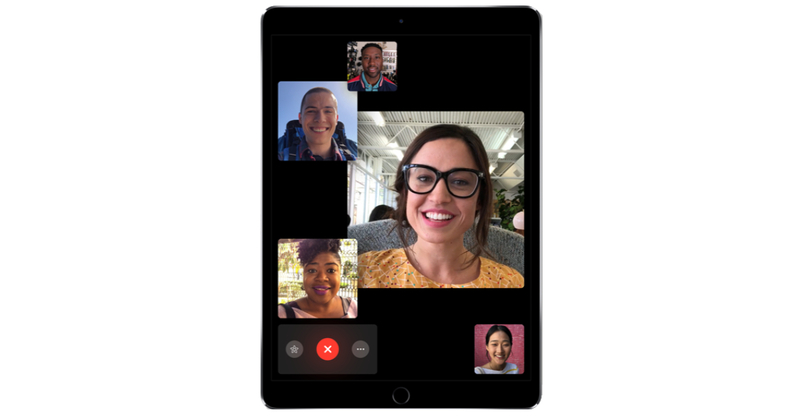 The update brings back Group FaceTime, which means that it is likely that Apple can keep its promise to roll out the function before the end of the year. With Group FaceTime, up to 32 people can meet in a voice and video chat. Apple demonstrated the feature at its annual global developer conference in early June and recorded it in early iOS 12 beta's. The feature was removed from the beta without any explanation before yesterday's official iOS 12 release. Apple said that Group FaceTime would be added back to iOS 12 in an update by the end of the year. You must be part of Apple's developer program to get the beta from the developer. You can register on the Apple developer website. If you already have an iOS 12 developer beta, you should see the 12.1 update when you go Settings gt; General gt; Software update.